This series of short videos gives quick insights into how Industrial Compact Scales can help you improve your weighing processes. Learn more about the benefits of ICS scales, including fast and accurate weighing, efficient cleaning, easy printing and convenient mobile use. Accurate and easy to use, the ICS465 Advanced Compact Scale is for counting, totalizing and checkweighing. The graphical LCD display with the basic colorWeight™ indicator shows operators at a glance whether results are in- or out-of-specification for high throughput and fewer errors. The numeric keypad facilitates article data input. A wide range of capacities and readability up to 0.001g make the ICS series the perfect fit for your application. Choose from 0.6 - 35kg as a compact scale and up to 600kg as a free combination of terminal and platform. When picking orders, verifying inventory, packaging or confirming production quantities, every part is important. METTLER TOLEDO counting solutions ensure that only the right number of parts is delivered to customers. Attachable scanners, colorWeight(R) indicators and the ability to create print-outs on the spot make parts-counting applications fast, accurate and traceable. The ICS465 is ideal for counting production, receiving/shipping and warehousing. 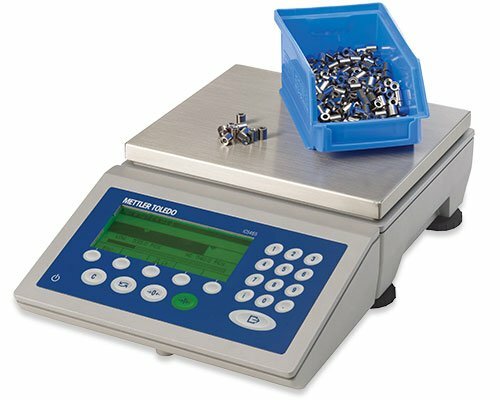 Superior weighing electronics provide excellent repeatability combined with a durable die- cast housing with IP65 protection deliver reliable results and make the ICS scale range a perfect fit for industrial enviroments. Optional battery power and wireless functions enable the scale for mobile use. A variety of interfaces guarantee integration with your ERP system. Control conveyor belts, feeders and lights with digital I/O. Connect scanners or printers and up to two scales if needed. 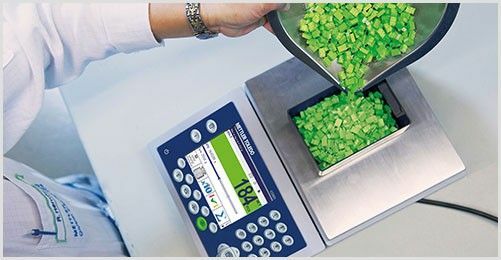 Save time and money with the smart colored display making weighing applications, such as completeness checks, portioning, classifying and counting, simple, fast and less error-prone. The colorWeight® display indicates, at a glance, if weight or count is below, within or above target. Send and retrieve data to the scale in various ways. Connect to one or many scales via Ethernet, RS232, WLAN or USB. The scale stores up to 100 articles and 300,000 weighing records. Databics is an extensive data-management system for use with ICS4 and ICS6 scales. It allows you to manage and set-up the articles you want to weigh or count on your PC. Weighing data can be retrieved and stored for legal purposes or for customer audits. The software facilitates print-out and label creation. In addition to standard formats, it allows you to create labels according to AIAG or Odette standards or even customize them if needed. ICS Videos for Advanced Counting Scales.